Shingon Buddhism (真言宗 Shingon-shū) is one of the mainstream major schools of Buddhism in Japan and one of the few surviving Vajrayana lineages in East Asia, originally spread from India to China through traveling monks such as Vajrabodhi and Amoghavajra. Known in Chinese as the Tangmi, these Esoteric teachings would later flourish in Japan under the auspices of a Buddhist monk named Kūkai (空海), who traveled to Tang China to acquire and request transmission of the esoteric teachings. For that reason, it is often called Japanese Esoteric Buddhism, or Orthodox Esoteric Buddhism. The famous torii at Itsukushima Shrine, a Ryōbu-style torii. A torii (鳥居?, lit. bird abode) is a traditional Japanese gate most commonly found at the entrance of or within a Shinto shrine, where it symbolically marks the transition from the profane to the sacred. 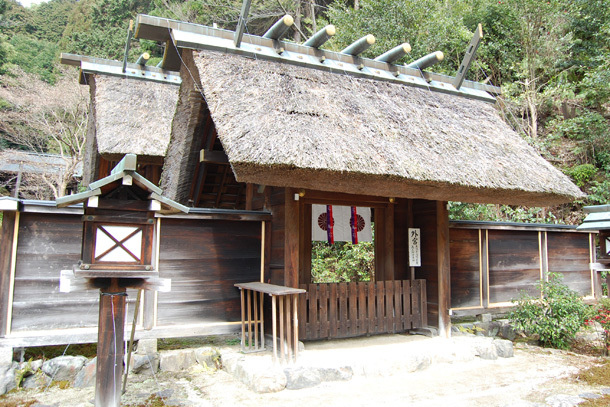 The presence of a torii at the entrance is usually the simplest way to identify Shinto shrines, and a small torii icon represents them on Japanese road maps. They are a common sight at Japanese Buddhist temples too, where they stand at the entrance of the temple’s own shrine, called chinjusha (鎮守社?, tutelary god shrine) and are usually very small. Let us begin at the heart of Shinto. 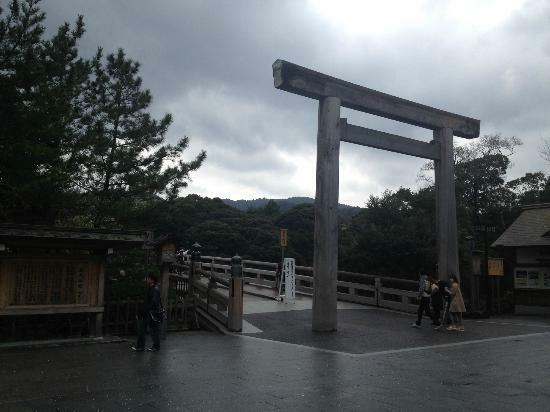 The Ise shrine, which has been called the National Cathedral of Japan, is not located in the center of a capital ancient or modern, like St. Peter’s in Rome. Its plain wooden buildings, rustic and unpretentious by most standards, dominate a lonely site near the Pacific Ocean some 225 miles south of Tokyo, 50 from Nagoya, and not much farther from Kyoto and Nara. 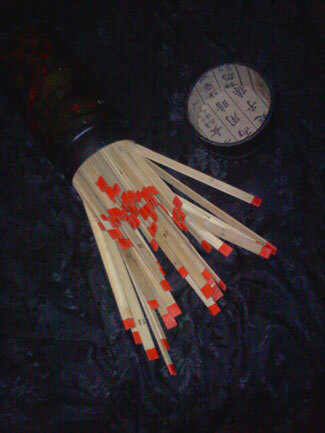 In the previous section the word Shinto was analyzed to show how it was used and what it meant in ancient times. Now it is necessary to consider the institutional significance and place of kami in Japan during that period, especially as evidenced in the jingiryõ laws and in Shinto-Buddhist syncreticism. 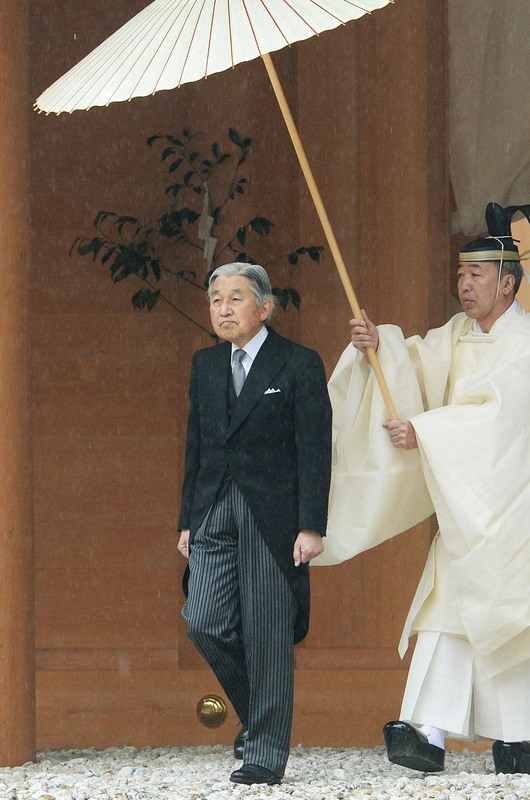 The history of religion in Japan is a long process of mutual influence between religious traditions. In contrast to Europe, where Christianity overwhelmed local pagan traditions, the indigenous religion Shinto has continued as a part of the lives of the people from the earliest days of an organized Japanese state up to modern times.